The Economy of Communion has just turned 23 years old, so even though it is young, it can be called adult now, and able to make a public appearance to give the world the gift of God for the third millennium that has been entrusted to it; although it remains one of the expressions of the charisma of unity of the Focolare Movement, to be able to enter into dialogue with the world, the Economy of Communion must now stand on its own feet. The stepping out into public life is easily noticed in this newsletter: not only because of the international schools for young and old entrepreneurs that are announced or because of the internationality of the theses of which it spreads the news and not only because of the experiences of its entrepreneurs shared at conferences in various parts the world. It is felt from the operating of the entrepreneurial and friendly associations of the EoC born in different countries that are active in the economic world, sharing their travail with each other and offering this new way of doing business that increases the real "well-being" of the people and economies. 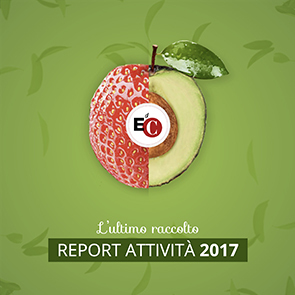 In this issue we give voice to the Italian Aipec and the Brazilian Anpecom that are bringing the EoC into numberless small, medium and large businesses and non-profit organizations. And these, in turn, increasingly tend to recognize the value of what is announced to them, receive it well and with gratitude, and they put its values into practice. To distinguish them from those who officially adhere to the EoC, we call these companies "sympathizers". Some of them are ready to help the development of the EoC with their knowledge, such as the French ngo EDM Entrepreneurs that, after having sent their expert to an EoC company in the Philippines for two months to study, has offered to us a method of self-assessment available to all to measure the degree of commitment to the project. To be able to share even more of our existential experience, the Central Committee has decided to offer anyone a way to join the "census" of the EoC businesses, using the software available at www.eoc-companies.org/. This census, the deeper meaning of which is explained by Luigino Bruni's article, distinguishes between those who adhere and those who sympathize with the project, but offers to all - having read and maybe signed our identity card - to confirm their membership or let us know about their sympathy. By filling in the pages of the census, information may be submitted not only about the profits that each company is willing to share for the poor and for the formation of the culture of giving of the EOC, but also about other resources that the company has shared for similar purposes by other routes, which is equally valuable for us. The census is also a means of letting us know what talents, experience, time and knowledge each contractor or their employees would be willing to share in order to increase the communion in the world. A second initiative to trigger in our times, beyond any affiliation or belief, is a true Internationale of the Communion that is a source of economic development, but also a lighthouse able to announce, amidst the cultural storms of the world today, the existence of a safe harbour.